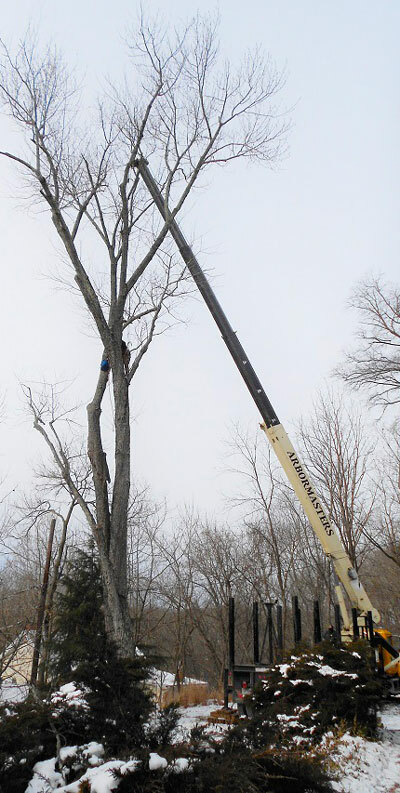 Our long reach 23.5 ton crane provides a safe working environment for our tree climbers and cost effective tree pruning and debris removal for our customers. 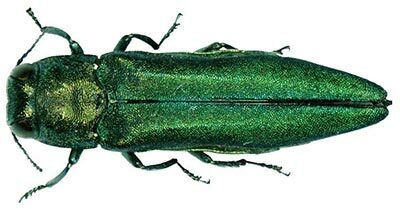 The Emerald Ash Borer (Agrilus planipennis) is a very destructive, invasive species, native to Asia and Eastern Russia. This small beetle, less than 1/2 inch in length, was first discovered in America (Michigan) in 2002, but is already expanding its range into Maryland. Infested trees can be killed in 1-3 years.